What do women want on a women-only trip? Many want adventure without turning the hiking, biking, horseback riding outings into a macho challenge. 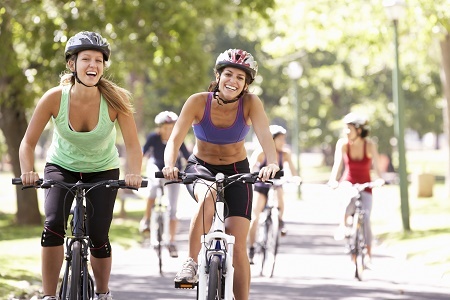 Women want support and camaraderie even when they pedal, paddle, or walk slower than expected. More outfitters respond to this mini-trend by adding women-only expeditions. And these sell out quickly. Long before female-only trips popped up as mainstream, Susan Eckert started offering women-only outings. In 1982 Eckert founded AdventureWomen, the oldest outdoor company for women age 30 and older. AdventureWomen offers trips to Ecuador, New Zealand, Cuba, Botswana, Italy, Iceland, Sri Lanka, France, and other places. 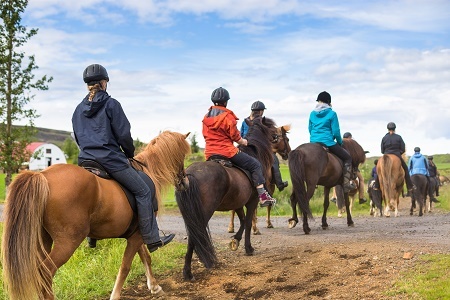 Ride an Icelandic horse across farmlands, lava fields and mountains covered with black ash from volcanic eruptions. The horse, brought by the Vikings, is noted for its special gate, the tölt, a running walk that suits a long day in the saddle. July 8-16. Walk along the winding paths of the Mediterranean coast south of Naples, enjoying the sea views from cliffs. Stroll through picturesque towns; explore the ruins of Herculaneum, a Roman town destroyed when Vesuvius volcano erupted in 70 AD; and take a boat trip to walk through Capri. Sept. 24-Oct. 2. The Pacific Coast Trail; Image courtesy of REI Adventures. 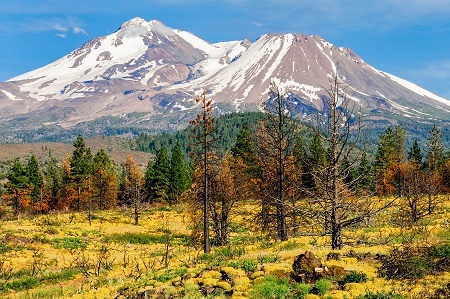 A shorter and more enjoyable version than Reese Witherspoon’s “Wild,” about the Pacific Crest trail, REI’s has you hiking the Pacific Coast for three days in the Mount Shasta region of northern California and staying at lakeside campgrounds, great for swimming breaks. Aug. 5-7 departure is for women-only. In today's Travel Tips & Trips column, Candyce looks at trips designed for groups of women travelers.